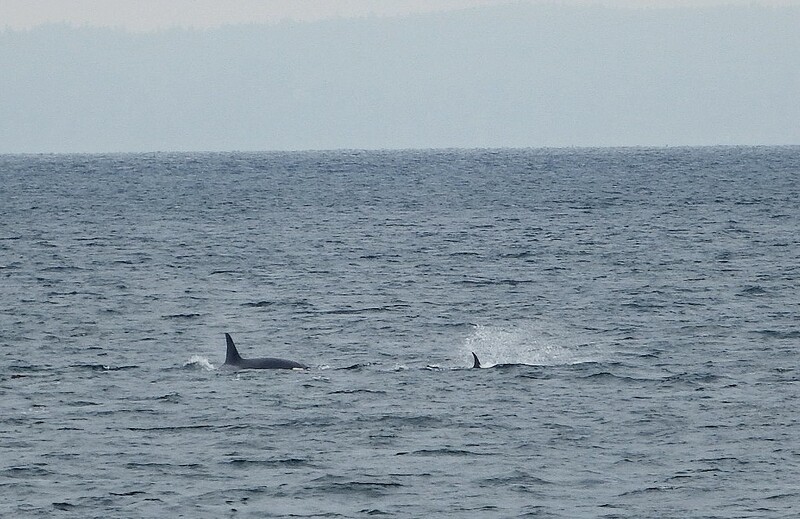 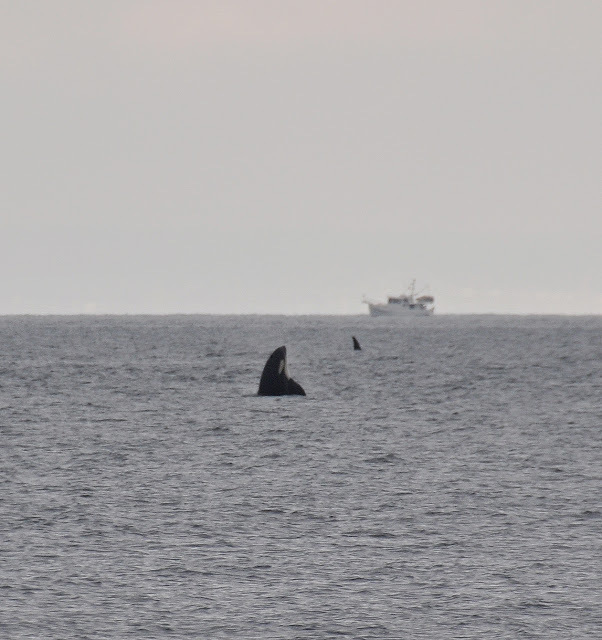 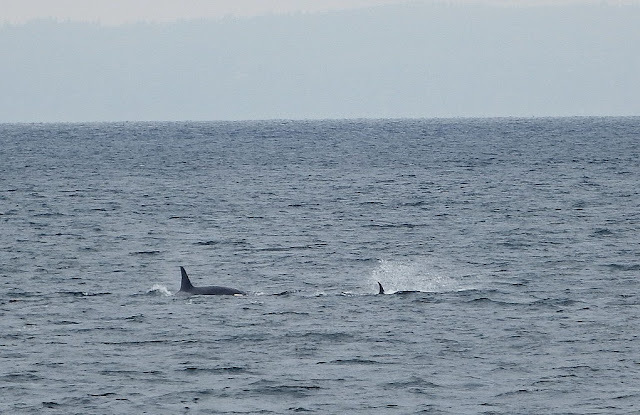 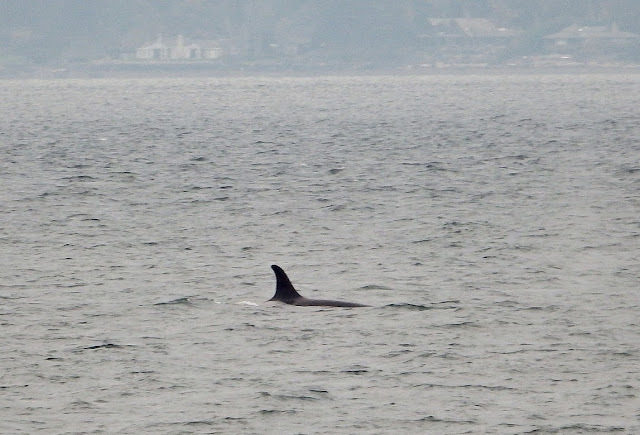 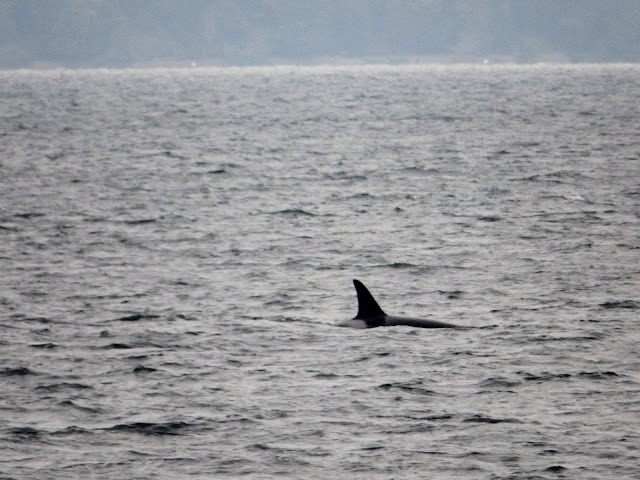 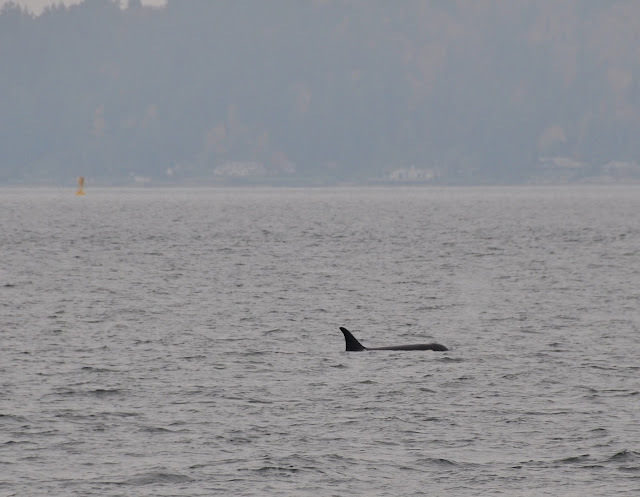 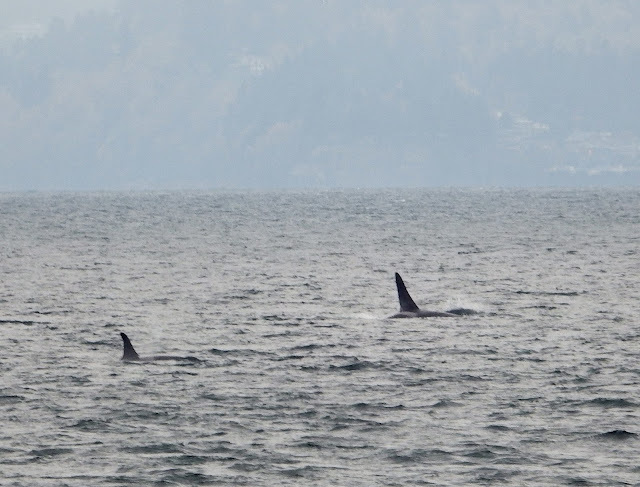 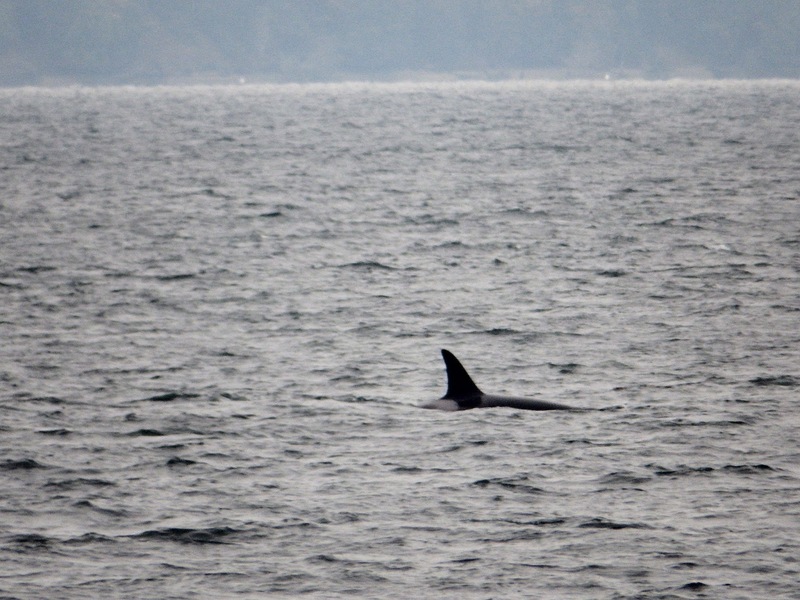 Members of the Southern Resident Orca (Killer Whale) community were present off Seattle again and passed closer to Alki Beach than they did on 11-03. 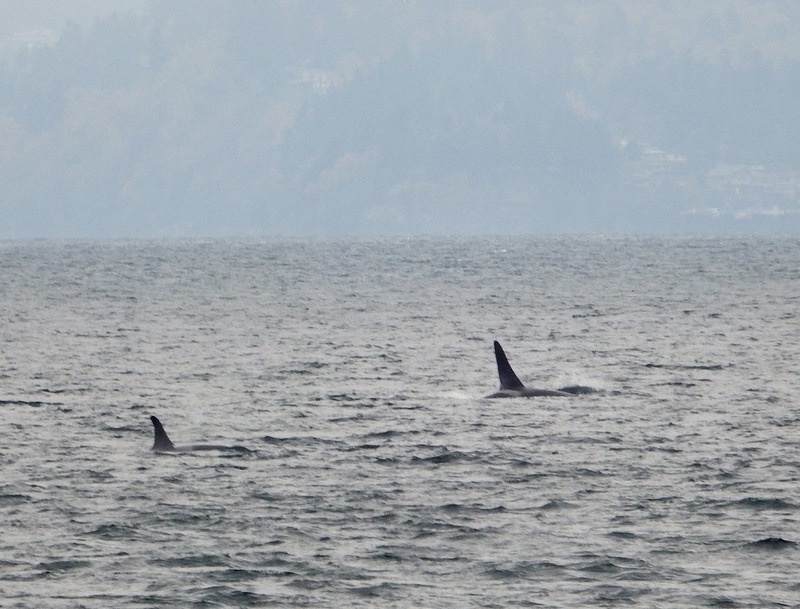 Possibly members of all 3 resident pods were present but a minimum of 2 pods. Will have to wait for positive identification to know exactly who was in the pods. The whales were spread out over a several square miles as they foraged for Chum Salmon that are returning to Puget Sound rivers to spawn. 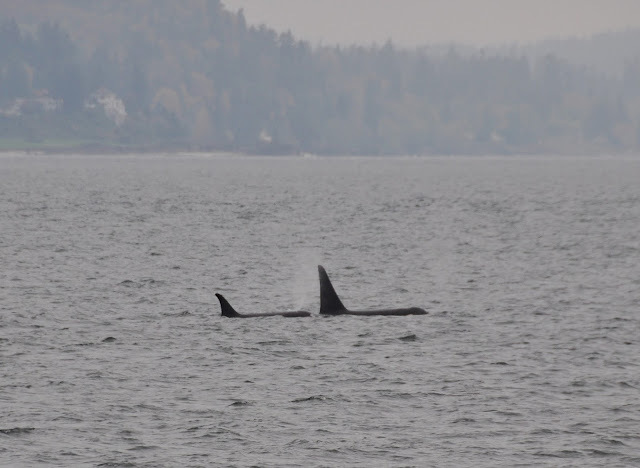 Approximately 1.7 million Chum Salmon return to spawn every year with about 90% of the runs coming in the fall months...November and December being very busy. 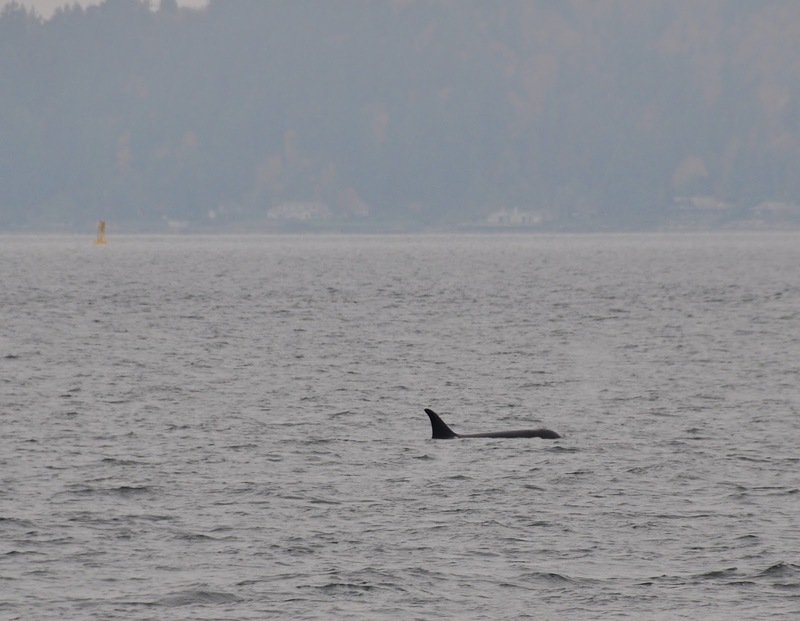 The Southern Resident Community is listed as endangered under the Endangered Species Act and are the subject of a Federal Recovery Plan. 2015 was a good year for the Southern Residents as their favorite food, Chinook Salmon, had strong runs. 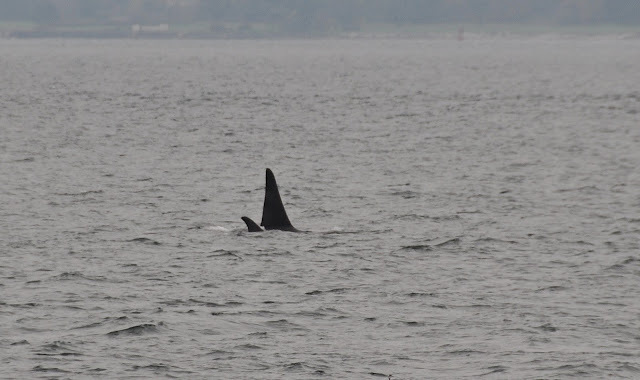 Now the Orcas are turning their attention to Chum Salmon...the second most plentiful salmon species in Puget Sound....Pink (Humpy)Salmon being the most plentiful with approximately 6.5 million fish returning this year. However Pink Salmon runs are only large in odd number years with only a very small percentage of Pinks returning in even number years. Orcas do not normally feed on Pink Salmon as they are feeding on Chinook Salmon at the time of the Pink's return. 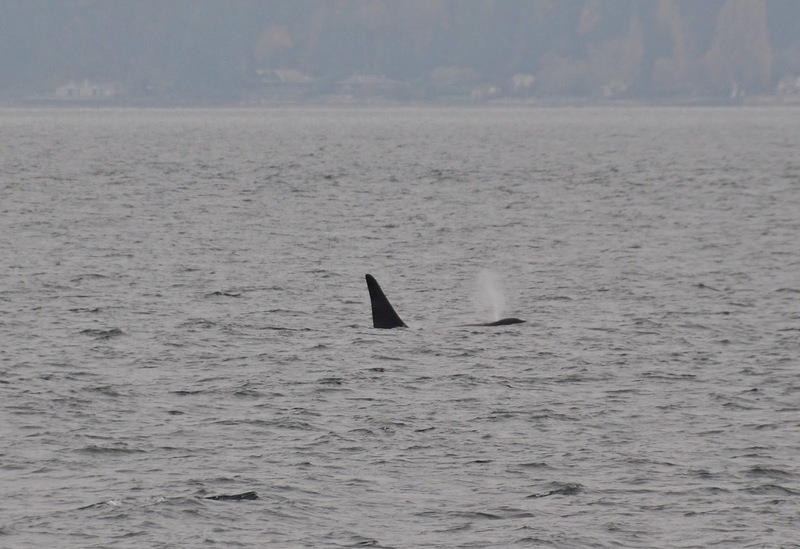 Chinook are much larger and provide much greater nutrition value for the Orcas. 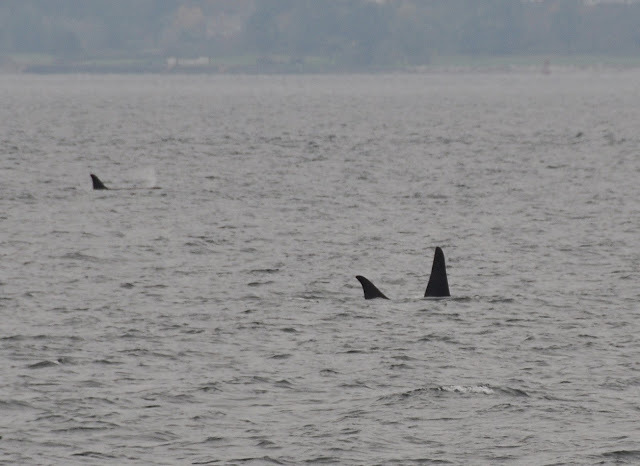 Chum can also reach much larger size than Pinks. 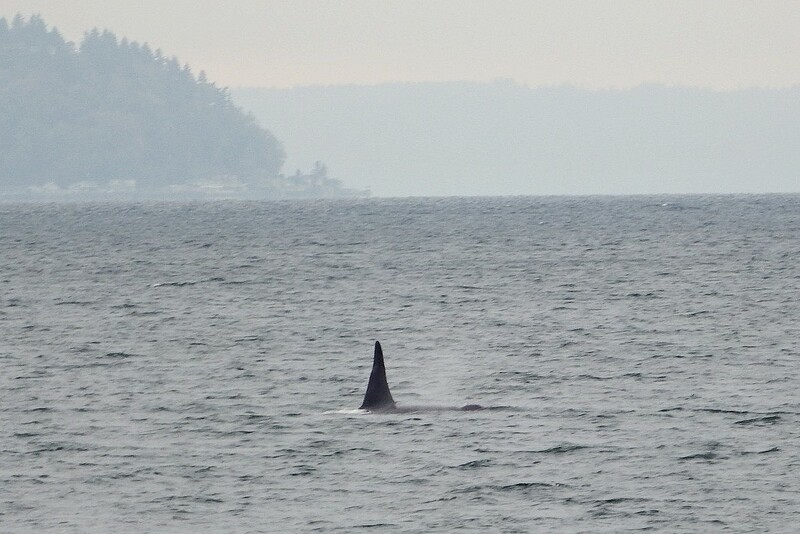 The Southern Residents can be expected to be feeding in Puget Sound as long as the Chum Salmon runs continue. Two of the three pods (K &L) will spend much of the winter in the open ocean moving as far south as Monterey CA. 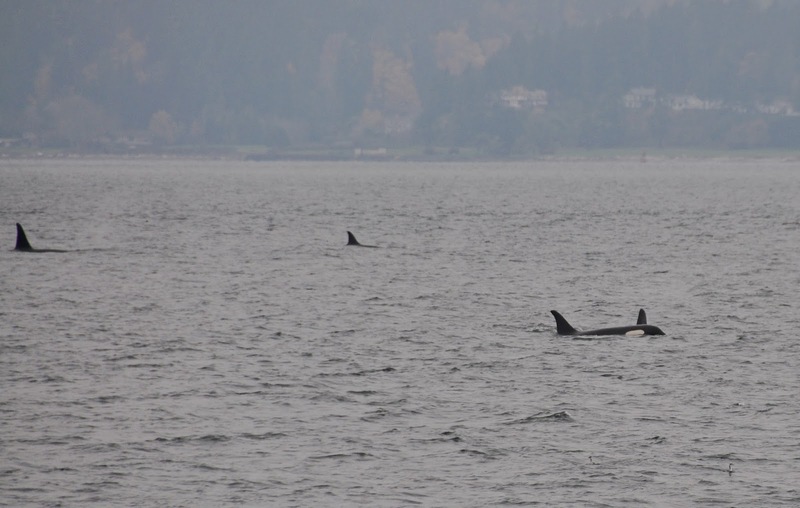 One pod (J) spends more time in inside waters of Washington and British Columbia. 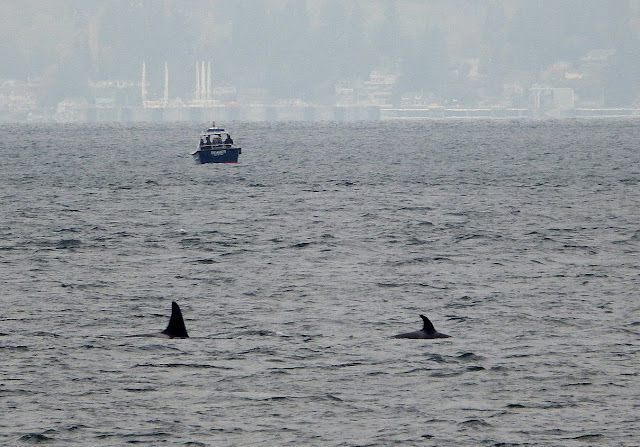 Images taken from Alki Beach Park in West Seattle.